Recently, I have been reviewing a lot of high-end, high falutin TVs. You know, the kind with all the bells and whistles, 3D, Internet Connectivity, and built-in Wi-Fi. I enjoy playing with the new toys as much as the next kid on the block, but occasionally its refreshing to come across a TV that simply delivers the basics. The JVC JLC47BC3000 is just that type of TV. Its LCD display is not cutting-edge LED backlit, but its Picture Quality (PQ) is solid. And its Audio Quality is way above average, even when compared to models twice its price. This combination makes this JVC BlackCrystal HDTV a great choice for those who simply want an easy-to-use TV that they can plop down and enjoy their favorite programs without having to fuss with networking or apps or 3D glasses - just like the good ol' days back in 2008. 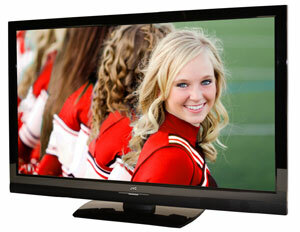 The JLC47BC3000 is one of the only TVs where the audio quality outshines the video. That is not to say that the PQ is bad. It's actually quite good for a CCFL backlit LCD display. But the audio quality is some of the best I have heard from the speakers built-in to TVs. This JVC supplies just the basics, no Internet connectivity (and all accompanying apps and content) and no 3D. The flip side to no Internet connectivity is no need for wrangling with connecting to networks. No 3D means no 3D glasses. You can be up an running about two minutes after you plug the TV in for the first time. At the time of this review, the JVC JLC47BC3000 lists at $950, which is not an unreasonable price for a 47" CCFL backlit LCD TV. But I found this BlackCrystal TV online for at least $200 less, which is much more appealing and competitive. If you are comparison shopping, remember that this JVC does not include any Internet connectivity, which might be just fine for you. If this TV appeals to you, you can always buy and connect a Blu-ray player (around $150) or a device like a Roku box (under $100) with all the Internet apps you could desire.